Paulo Jorge Palma, Professor in Endodontics,Department of Dentistry,University of Coimbra,Portugal. Berthod Patrice, Faculty of Sciences and Technologies,Department of Chemistry & Physics of Solids and Surfaces, Lorraine University,France. Alparslan Dilsiz, Faculty of Dentistry,Department of Periodontology,Atatürk University,Turkey. Robert M Taft, Chairman,School of Dentistry,The University of Texas Health Science Center, USA. Eung-Kwon Pae, Professor,Department of Orthodontics and Pediatric Dentistry,University of Maryland,USA. Keith D. Allen, Professor,Munroe-Meyer Institute for Genetics and Rehabilitation, University of Nebraska Medical Center,USA. Mei-Chi Chang, Professor, Department of Science and Technology, Chang Gung University, Taiwan. Giuseppina Lagana, Professor,Department of Orthodontics, University of Rome, Italy. Sufiyan M Kalekhan, Professor, Department Prosthodontist & Implantologist, Kidzsmile Dental Lounge Dental Centre,KUWAIT. Viroj Wiwanitkit, Professor, Department of Medicine, Chulalongkorn University,Thailand. 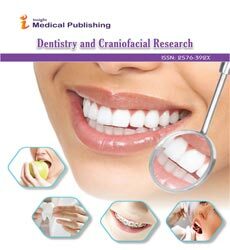 Clarissa Teles Rodrigues, Specialist, Department of Dentistry, University of Sao Paulo, Brazil. Victor Eduardo de Souza Batista, Scientist,Department of Dentistry, Public university in Sao Paulo, Brazil. Ning Zhang, Professor,Department of Medicine,Capital Medical University,China. Ilma Carla de Souza Porcelli, Professor,Universidade Estadual de Maringa,Vila Santa Izabel,Brasil. Mohamed Saber Abdel Halim Ali, Professor, Department of Substitutive Dental Sciences, College of Dentistry, University of Dammam, Saudi Arabia. Ahmad M. Al-Thobity, Professor, Department of Dentistry, University of Dammam, Saudi Arabia. Abeer Elsayed Elembaby, Professor, Department of Restorative Dental Science, University of Dammam, Saudi Arabia. Adnan Asaad Habib, Professor,Department of Endodontics, University of Damascus,Syria. Adina Cosarca, Surgeon, Department of Maxilo-Facial Clinic, Targu Mures University, Balkans. Amer A. Taqa, Professor,Department of Dental Basic Science,College of Dentistry, Mosul University, Iraq. Raed H. Alrbata, Specialist, Department of Royal Medical Services, Amman University, Jordan.